In 2015 electronic mail or email for short, will celebrate 44 years that the first electronic message was sent by Ray Tomlinson. To celebrate the event, Reachmail has put together a very informative infographic that can be seen below that highlights memorable milestones in the history of email and also shows just how far it has come in the last 44 years. 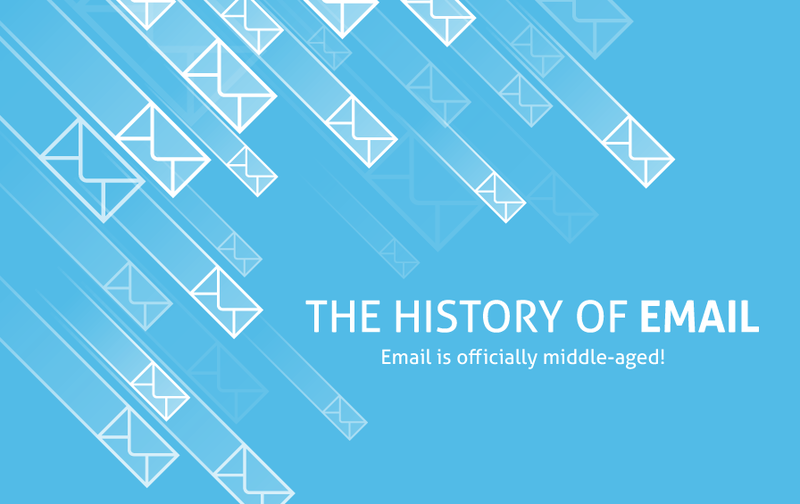 Let’s take a look at some major milestones in the last 44 years of email. Email may have been used for the first time in 1971, but it didn’t really catch on for another few years. Queen Elizabeth became the first head of state to send an email message in 1976 giving electronic mail a surge in popularity. The word “email” itself wasn't officially used until 1982 by Scott Fahlman. It’s weird to think about such a popular term in today’s culture only being around for fewer than 3 decades. Email has gone from being a sparingly used form of communication for only very tech savvy people to a form of communication that is used in a majority of people’s daily routine. What do you think the next 44 years has in store for email communication?